Chapeau is a high-performance, cutting-edge operating system for 64bit PCs built from the GNU/Linux distribution Fedora Workstation with the Gnome desktop environment. Chapeau is intended to be just as easy for those new to using a GNU/Linux-based system as it is useful for advanced users. How is Chapeau different to Fedora? Chapeau is Fedora without the work, to seamlessly add functionality and usefulness to Fedora Workstation. The Chapeau project does not attempt to redesign the Fedora experience, only to enhance it. For the list of changes baked into Chapeau see the Features page. What system do I need to run Chapeau? As with most Linux distributions the recommended system requirements are really dictated by the graphical environment and/or the software and services you run on your system. The Gnome desktop requires at least a screen resolution of 800 x 600, a graphics processor that supports 3D accelerated compositing is recommended however Gnome will start in fallback mode if 3D acceleration is not available. 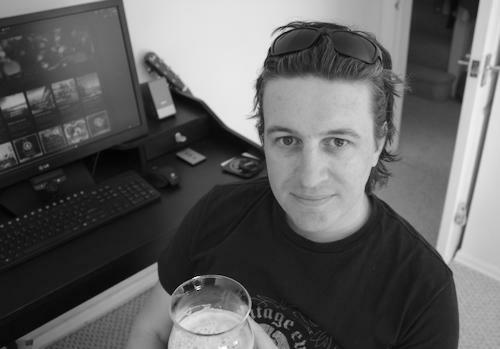 Currently Chapeau is the personal project of one guy, me, Vince Pooley. I’m a senior system administrator/analyst and a professional specialist in HP-UX & GNU/Linux based systems and system monitoring. If you like what I’m up to hook me up on my personal site or LinkedIn. The french word Chapeau is commonly used in different contexts but its literal meaning is ‘hat’ in French. 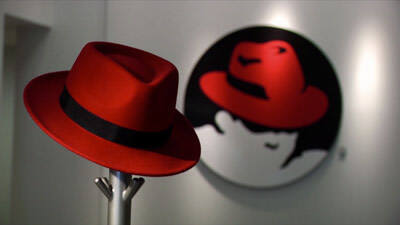 Fedora is the community-managed development branch of the Red Hat Enterprise Linux distribution and is named after the style of hat used in Red Hat company logo. ‘Chapeau’ is used in the context that it is linked to the other hat-themed distibutions ‘Fedora’ & ‘Red Hat’. Chapeau is made due to admiration and appreciation of the Fedora project. The word chapeau is often used to express admiration, meaning to ‘lift one’s hat’ or ‘doff one’s cap’ in appreciation. This is used in French speaking countries and commonly in the cycling scene. Chapeau’s maintainer is a keen cyclist and codenames Chapeau’s releases after legendary cyclists. How did Chapeau come about? Fedora has been my preferred operating system since 2005. Back then, Fedora Core as it was called was relatively new and was entering it’s third release. Fedora is great but I feel that Fedora cannot be be recommended to those not experienced with Linux & free software distributions as it requires some explanation of software restrictions and licenses, the average user doesn’t want to tinker to be able to access content they’re used to having on other platforms. I thought I’d dedicate some time to create a distribution based on my own Fedora setup, one that is not much different to stock Fedora but has an enhanced user experience that requires as little tinkering as possible, one that is actually useful without having to even install it and one that just has all those extras but doesn’t feel any more complicated or cluttered than a base Fedora install. In 2013 I began producing a bootable live image including some of the changes I make to my own installs and desktops. To release a Fedora ‘remix’ such as Chapeau one must also rebrand it as the Fedora name & branding is copyrighted material, therefore I had to give my remix a name, apply new branding & artwork to the distribution and create a website in order to distribute it thus, Chapeau Linux was born. Chapeau is simply what I wanted from a GNU/Linux distribution but could not find, it runs on my laptops & desktops and it’s on that USB stick I, like may techies, have to securely use PCs on the road and to repair broken ones for friends. It’s designed so I’m never without the best that open-source currently has to offer. Because it’s based on Fedora, the software is as up to date as you could possibly want without being unstable and it is running the toolset of the sysadmin’s favourite Linux platform, Red Hat.